Bluebell Opticom designs, manufactures and distributes high quality fibre optic transmission equipment for the broadcast, telecommunications and satellite. 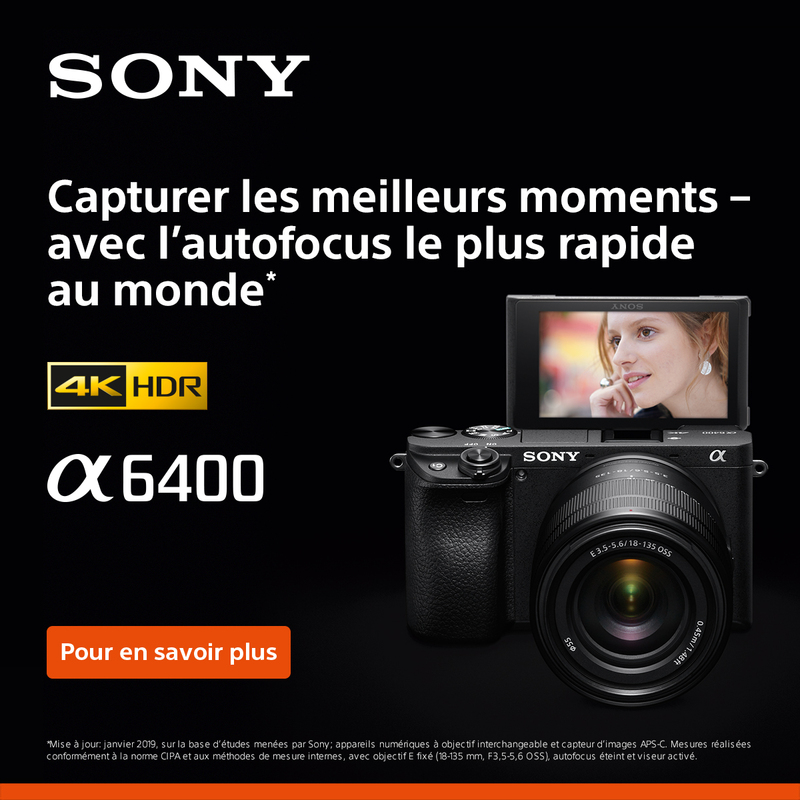 Résultats 1 - 32 sur 600. 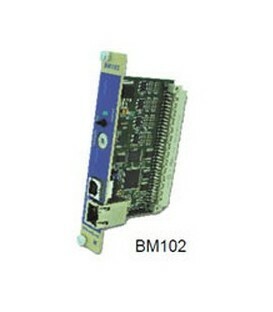 Network Monitoring Card with Ethernet connection. Monitor the frame and cards via internal web server over http or via SNMP and Third Party NMS. Optional - 1 required per frame. 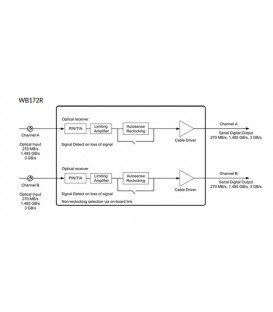 Singlemode video multiplexing card. 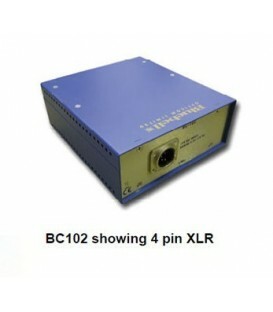 Provides 1 x HD/SD-SDI and 3 x SD-SDI signals all electrically multiplexed onto a single 1310 nm optical wavelength. 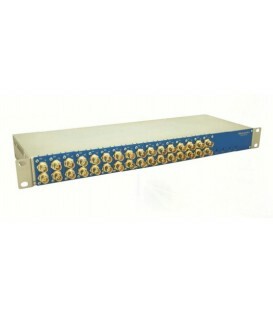 Other wavelengths, power outputs and CWDM wavelengths available on request. 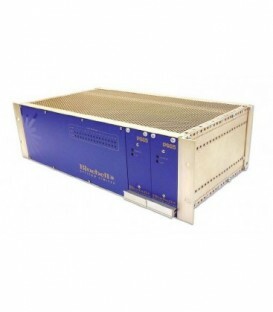 An electrical 3G-SDI output is provided for distribution through a 3G infrastructure. Singlemode video, audio and data multiplexing card. 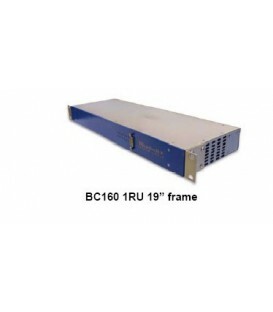 Provides 1 x HD/SD-SDI, 3 x SD-SDI and 8 analogue audio inputs plus 2 x unidirectional RS232 and 2 x unidirectional RS422 data signals. 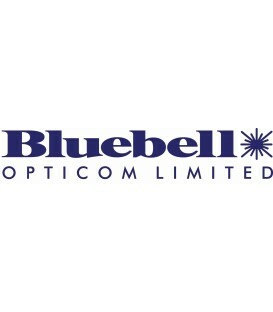 All electrically multiplexed onto a single 1310 nm optical wavelength. 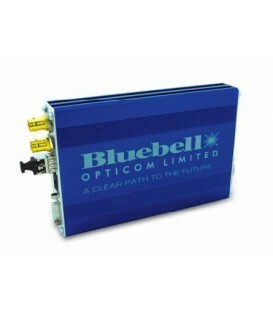 Other wavelengths, power outputs and CWDM wavelengths available on request. 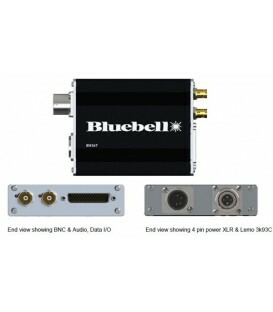 Remote end singlemode HD-SDI transmitter, Genlock receiver with bidirectional RS232/422 data and tally on 2 fibres. 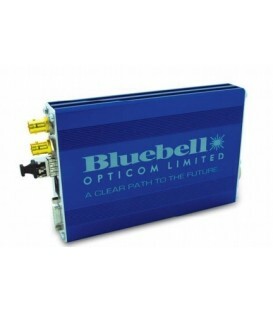 Supplied in rugged aluminium enclosure fitted with 4 pin XLR for power. 19? 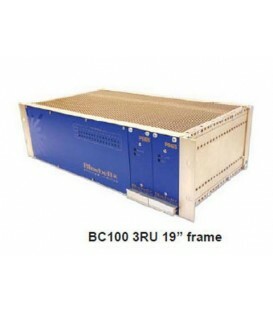 1RU Chassis for up to 16 WB172 Cards and supplied with dual redundant power supplies as standard.Configured with 1 x internal PSU connected via IEC input and 1 x external PS60 12V supply via 4 pin XLR inlet. 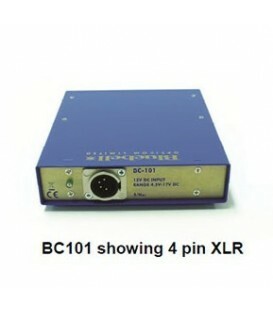 1 x PS60 external in-line unit supplied as standard - connects to 4 pin XLR inlet. 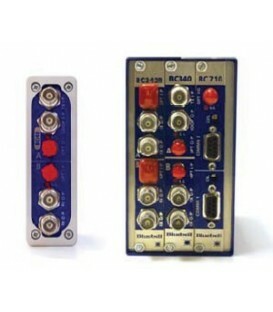 Singlemode Dual Channel 3G/HD/SD-SDI Fibre Optic Transmitter Card, Auto-Sensing for SDSDI, ASI, HD-SDI and 3G-SDI (1310nm). 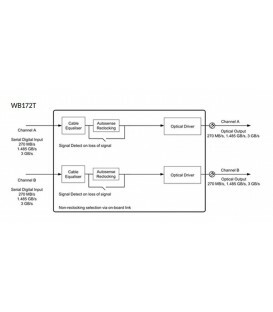 Singlemode Dual Channel 3G/HD/SD-SDI Fibre Optic Transmitter Card, Auto-Sensing for SDSDI, ASI, HD-SDI and 3G-SDI (1310 and 1550nm).